Choosing the right upholstery for furniture is a very important issue – it is not only about aesthetic values, but also about comfortable and problem-free use. Covering the sofa or armchairs is to serve for many years and in often not very easy conditions – upholstered furniture are exposed to dirt, flooding, destruction by domestic animals, etc. So how to choose a material that will be both elegant and very durable? Upholstery material – what to look for? Each material has its own characteristics and specific properties that make it boast of specific parameters. What qualities should the ideal upholstery look like? One of the most important things that should characterize the perfect upholstery material is resistance to abrasion. The sofas, armchairs and sofas are elements of equipment that are used extensively and wear is usually very fast. Anyone who buys a stylish piece of furniture hopes that it will serve for many long years, but without proper upholstery coverage it is simply impossible. The second thing that distinguishes good upholstery materials is stain resistance and ease of cleaning. One of the biggest threats to the sofa or armchair is contamination with liquids, food, urine of domestic animals or various substances used at home. The material used to make the upholstery can not be removed and washed – it is therefore necessary to use fabrics that do not absorb heavily impurities. A useful feature is also hydrophobicity – if the fabric does not absorb liquid, it also very well affects the ease of care and increases resistance to dirt. 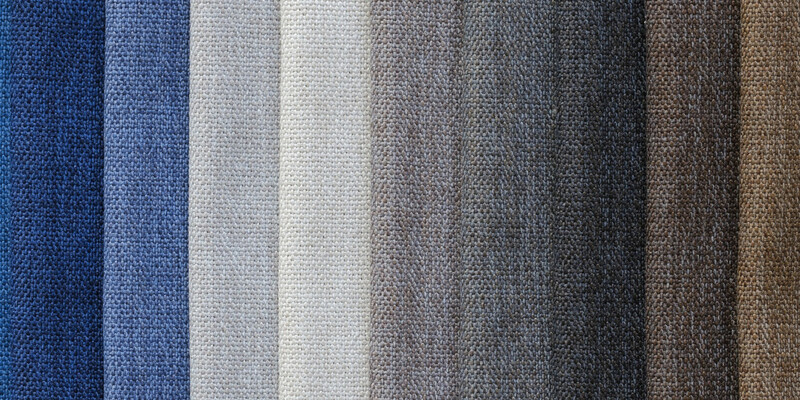 Modern upholstery materials versus traditional raw materials. The contemporary textile industry puts into use many innovative materials that can boast of these properties. Modern nylon fibers are durable, resistant to damage and abrasion, easy to maintain and clean. Conservative fans of traditional raw materials, however, think that there is no better material than, for example, natural leather. With this statement, however, you can argue with the use of very strong arguments. The durability of the skin is legendary, but modern synthetic fiber fabrics already outperform it in this respect, while offering much easier care – modern synthetic fabrics do not require protection against cracking or drying. Of course, the aesthetic values ​​may be decisive here – the tastes are different, and as the old saying goes – they are not discussed. It is worth mentioning, however, that modern materials and synthetic fibers are available in a wide range of colors, patterns and textures. In the era of fashion for bold and avant-garde interior design and designer furniture, it is these fabrics allow you to better match your equipment to current trends – nylon upholstery offers therefore much more opportunities than classic upholstery.